Johnny Depp is being sued for allegedly punching a crew member who tried to wrap up filming on the set of his upcoming film, City of Lies. Court documents, filed by Gregg “Rocky” Brooks in Los Angeles on Monday, claim the actor, 55, punched him twice in the ribs during a foul-mouthed tirade outside Los Angeles’ Barclay hotel. The papers also state the actor “reeked of alcohol” and took drugs on set. Depp’s bodyguards were forced to remove the actor from the set, it is said. As part of the altercation, Mr Brooks alleges that after Depp had verbally and physically assaulted him, the actor offered him $ 100,0000 (£75,000) to punch him in the face in return. The location manager is seeking unspecified damages from Depp, director Brad Furman, producer Miriam Furman and the production company Good Film Productions. 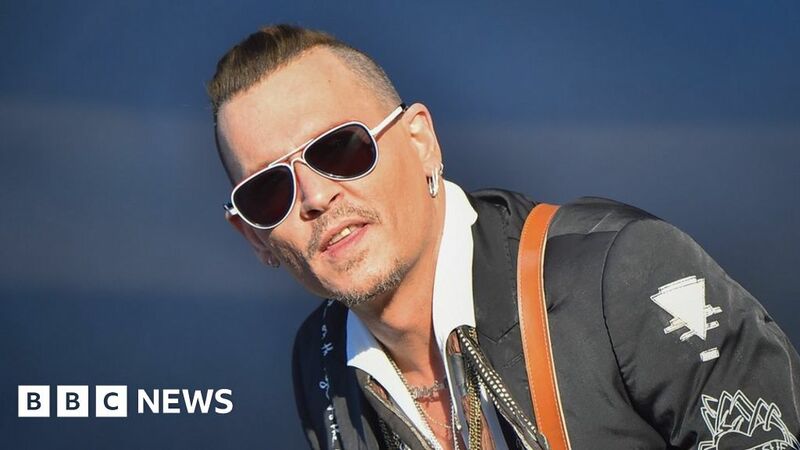 BBC News have contacted Depp’s representatives for comment. The 14-page filing alleges the altercation, which happened in April last year, began when Brooks attempted to enforce curfew restrictions. According to Mr Brooks, the production team had permission to film until 7pm outside the hotel and until 10pm inside the building, but shooting overran. Depp is then said to have punched Mr Brooks twice in the ribs. The legal documents also include an allegation of unfair dismissal. Mr Brooks claims he was sacked from his role as location manager for refusing to sign a declaration stating that he would not sue the production company. City Of Lies explores the Los Angeles Police Department’s investigation into the 1997 murder of rapper Biggie Smalls and is due to be released in September. Mr Brooks’ case against Depp adds to a mounting list of legal problems facing the Pirates of the Caribbean star. He is also embroiled in a legal battle with his ex-managers and is suing his former lawyers, claiming they cheated him out of millions of dollars. The actor also divorced Amber Heard in January last year after months of wrangling and allegations of domestic abuse. Depp, who met Heard in 2011 on the set of The Rum Diary, has never commented publicly on the allegations of abuse but his lawyers strongly denied the claims.